Clients of a Tampa family lawyer will often have questions about how alimony is calculated. When a marriage has ended, one spouse might receive payments from the other. This is known as alimony. Your Tampa family attorney will tell you that the factors that are taken into account for alimony differ depending on the state and usually go on a case by case basis. Courts will have a guideline, known as statutory variables, upon which they come to a decision on how much alimony will be paid. There are many issues that come into play when a decision is made as to how much alimony, if any, will be paid. If your Tampa family attorney finds that there is a substantial difference between the incomes of the two parties, it can be for many reasons. Perhaps one has a higher level of education, intelligence or skill sets. Maybe one spouse chose to be a homemaker while the other worked. Often, the disparity is due to gender issues. It is more common for women to decide to stay at home with children than it is for men. Therefore, they are frequently the ones who will receive alimony. It’s a fact that men generally make more money than women do. 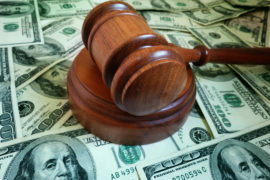 Regardless of the reasons for the disparity in incomes, a Tampa family attorney will recognize that there’s a difference between the amount of money that one party brings in over another and try to come to a reasonable amount that will help the spouse receiving it be supported after the divorce. If you have questions about alimony and how it is calculated, a Tampa family attorney can help. Call the Legal Advocate Group P.A. at (813) 304-8447 today.